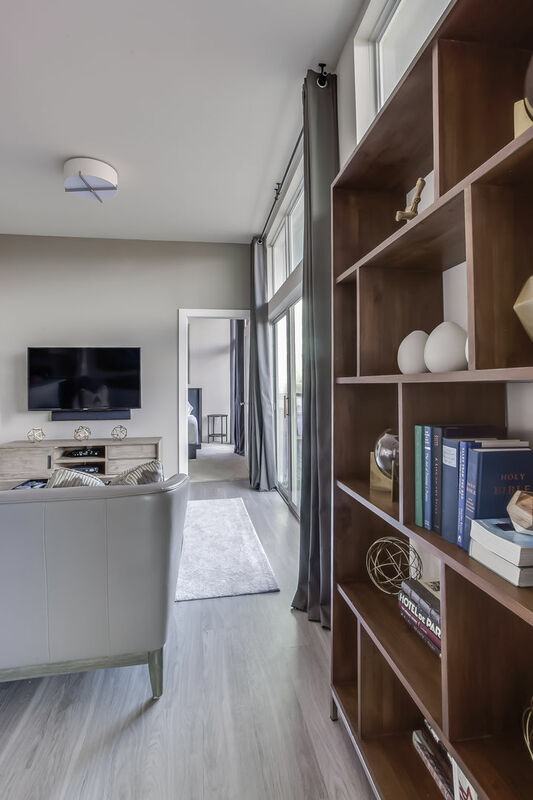 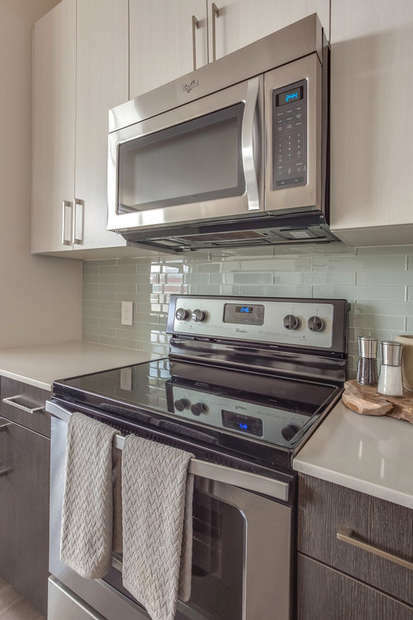 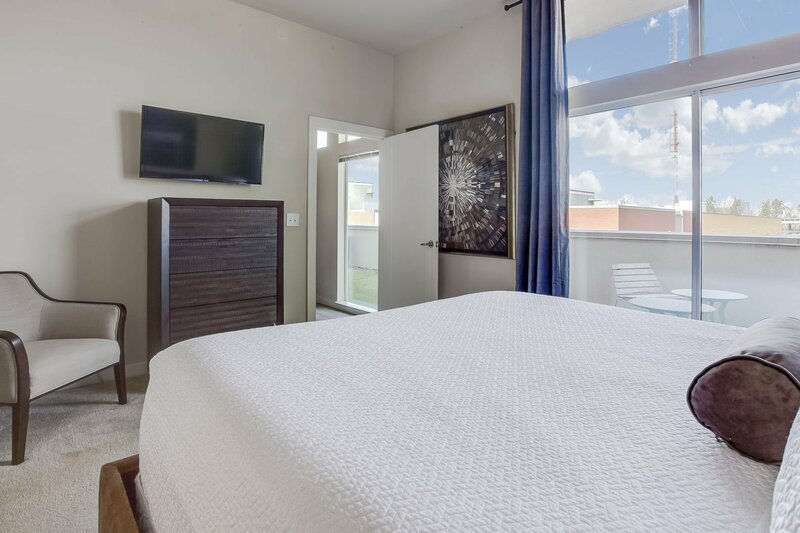 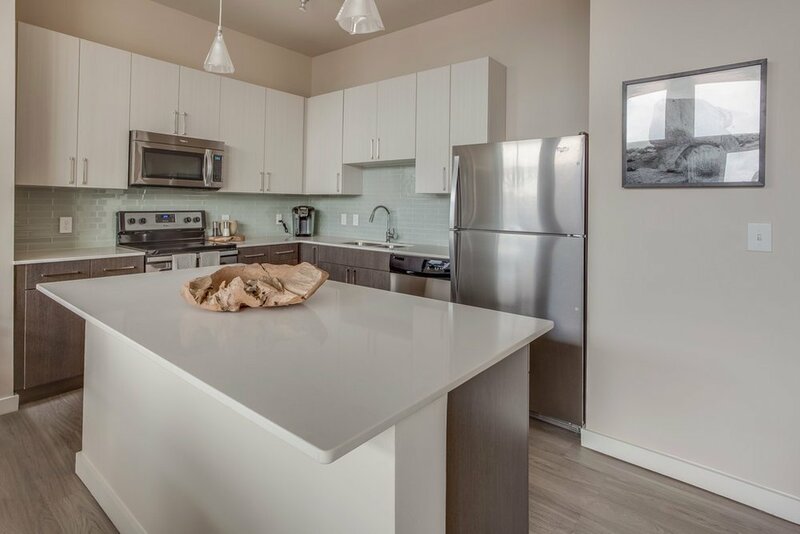 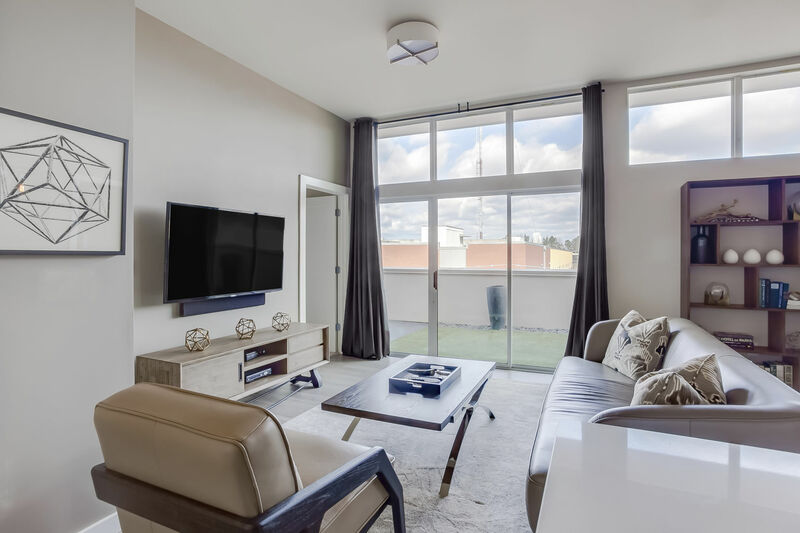 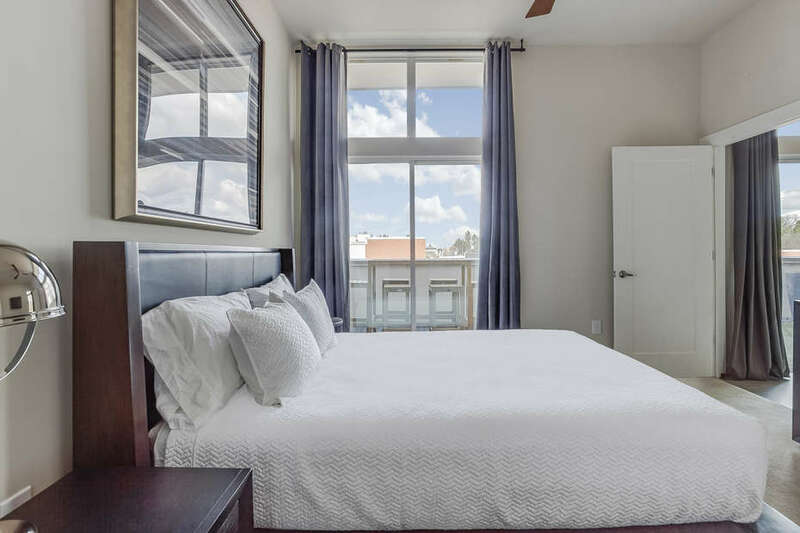 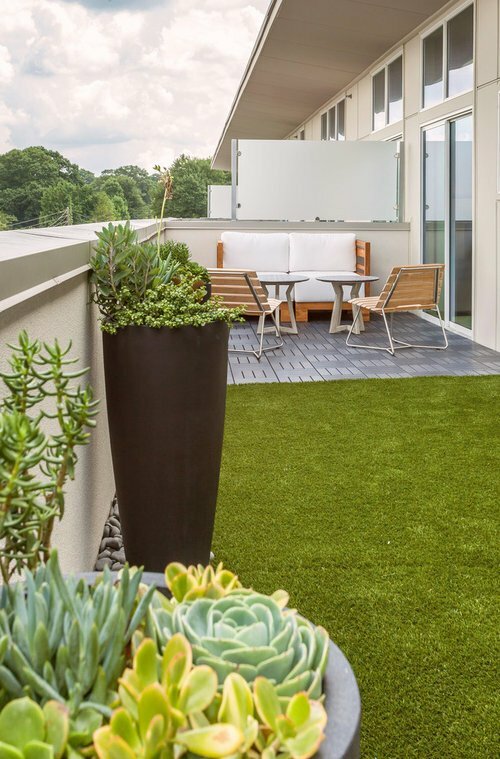 This expansive penthouse apartment resides in the heart of hot Inman Park just a couple minutes’ walk to the Atlanta Beltline. 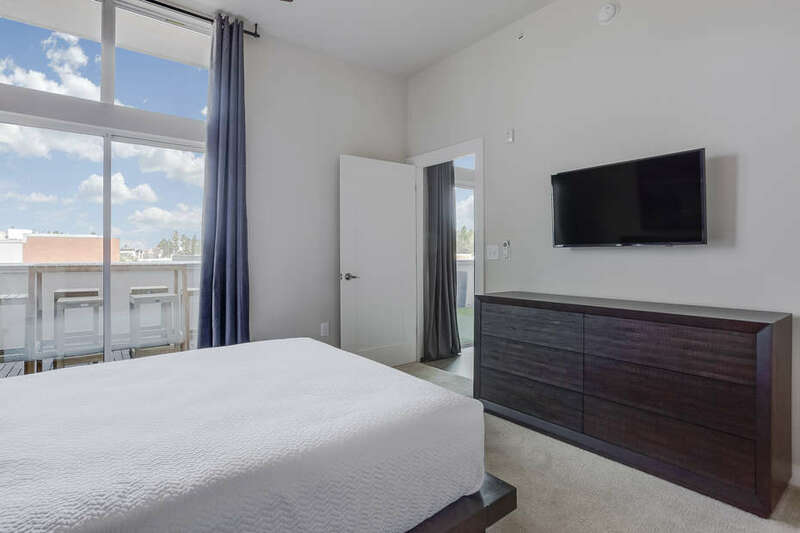 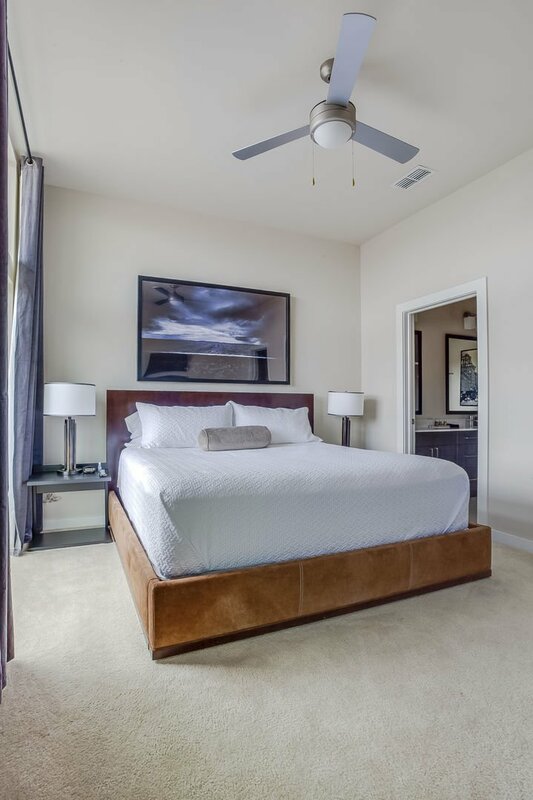 Fresh, modern design elements fill the impressive living and dining spaces, while the bedrooms are built for privacy and relaxation. Four can sleep comfortably in the king and queen beds bedecked with the finest quality Italian linens. 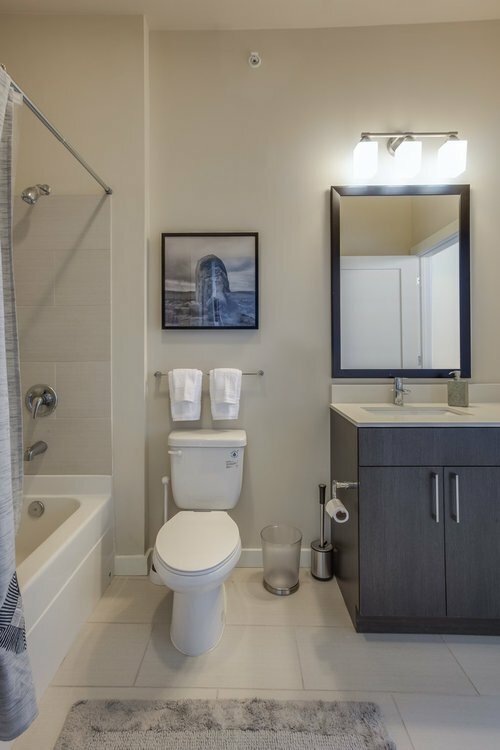 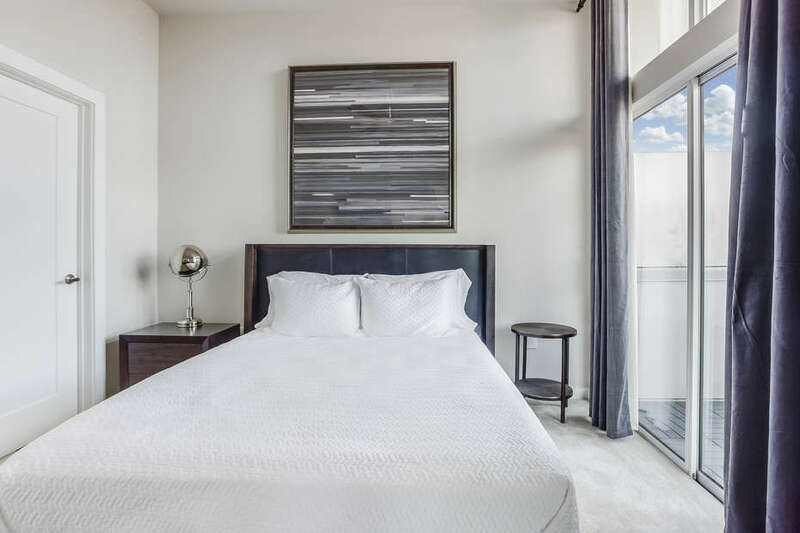 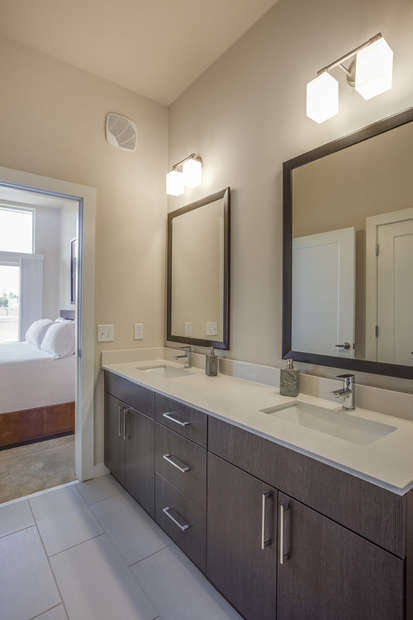 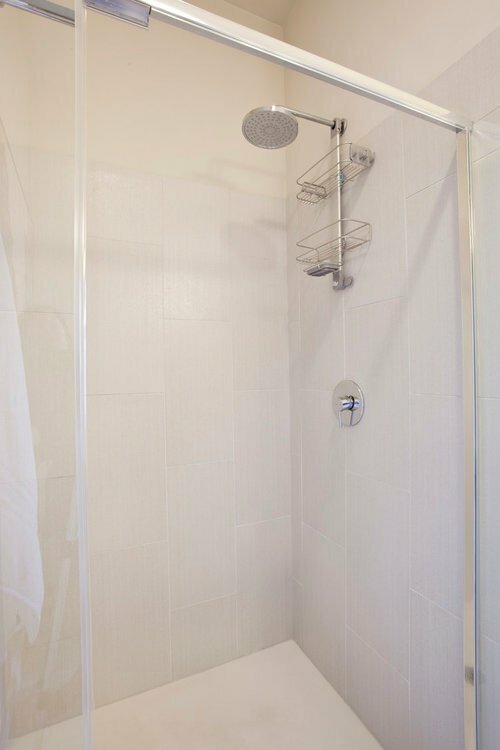 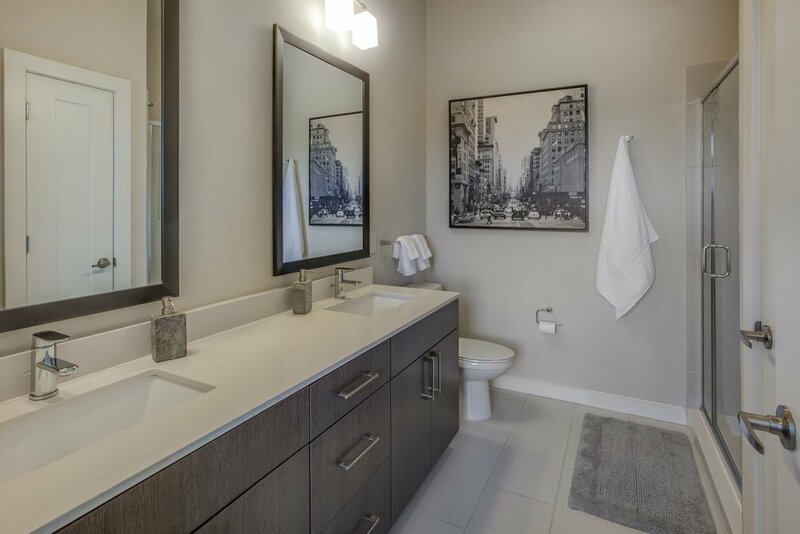 Each of the bedrooms possess an en suite bathroom featuring either a freestanding glass rain shower or a spa-quality soaking tub, ceramic tile flooring and porcelain undermount sinks. 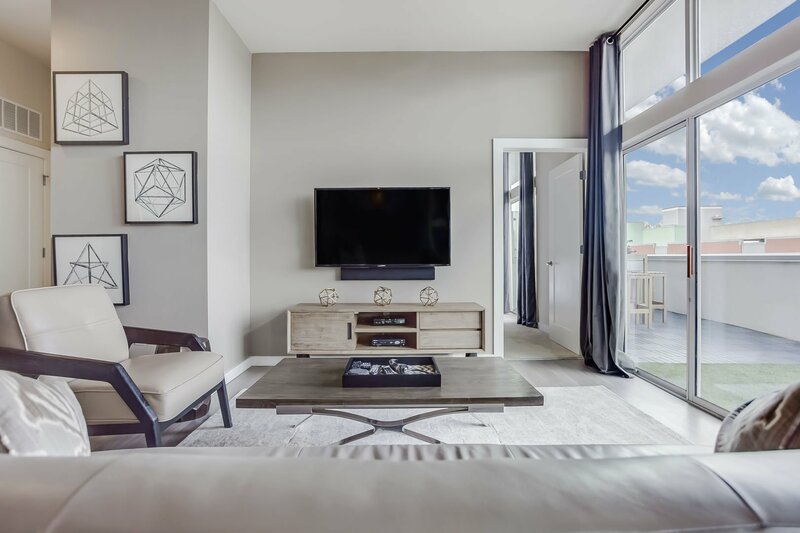 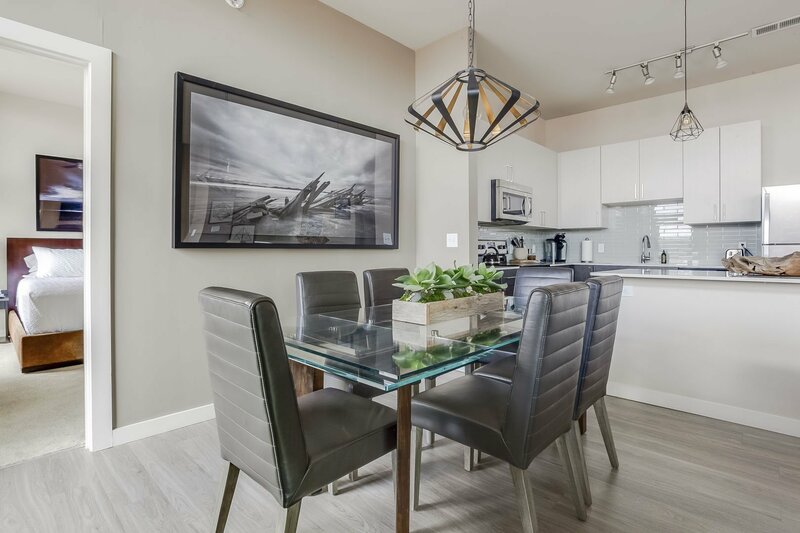 Entertaining is a true pleasure with the well-appointed kitchen, indoor dining table for six and the 47’-long balcony which can be accessed through the living area as well as each bedroom. 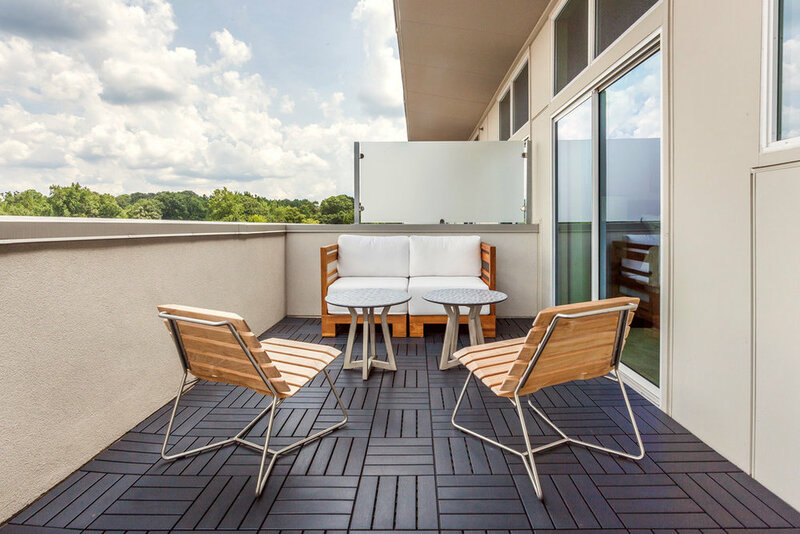 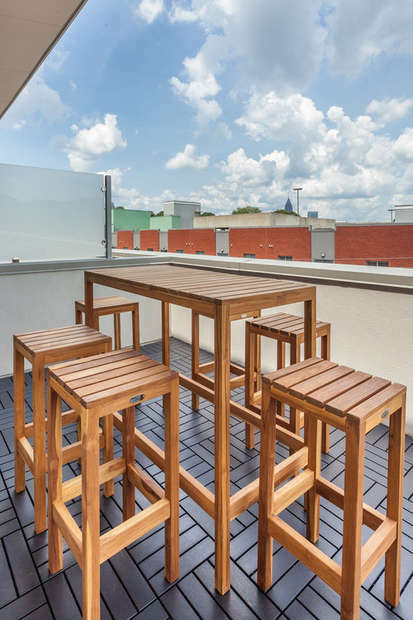 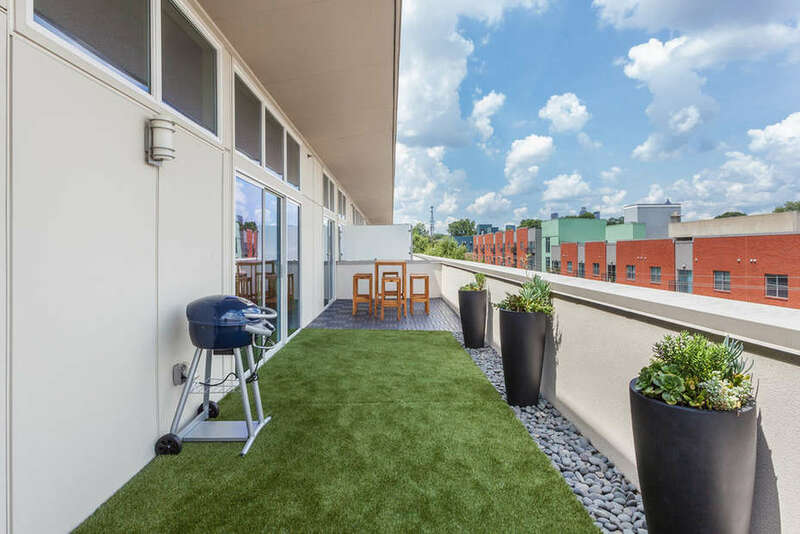 This massive zen-like balcony features a grill, outdoor dining table and lounge seating area with a bird's eye view of the hottest neighborhood in the city of Atlanta. 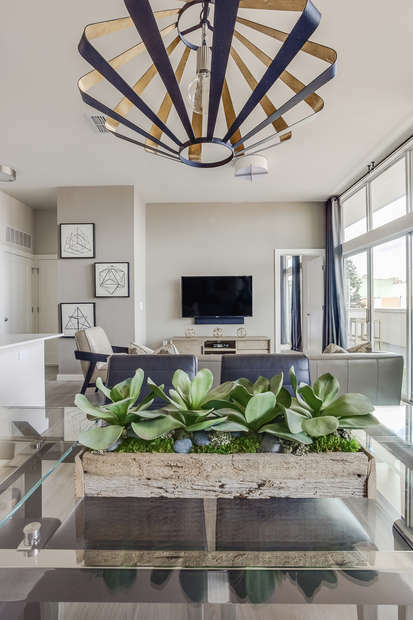 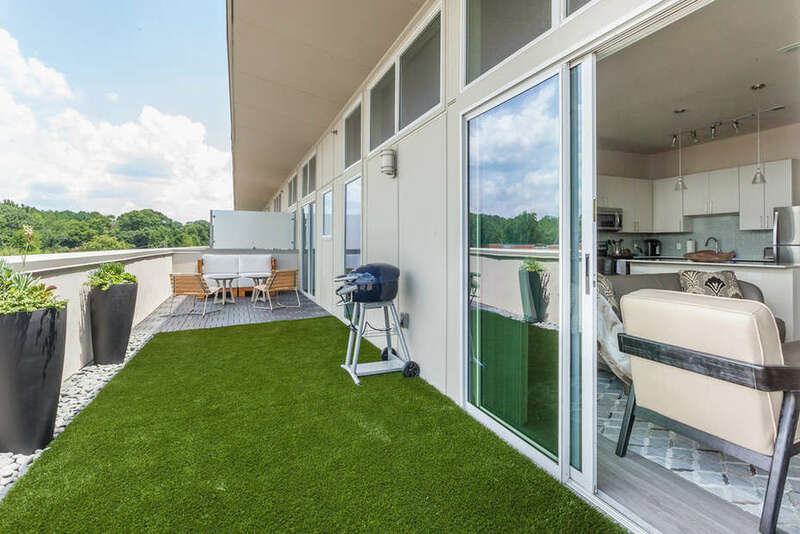 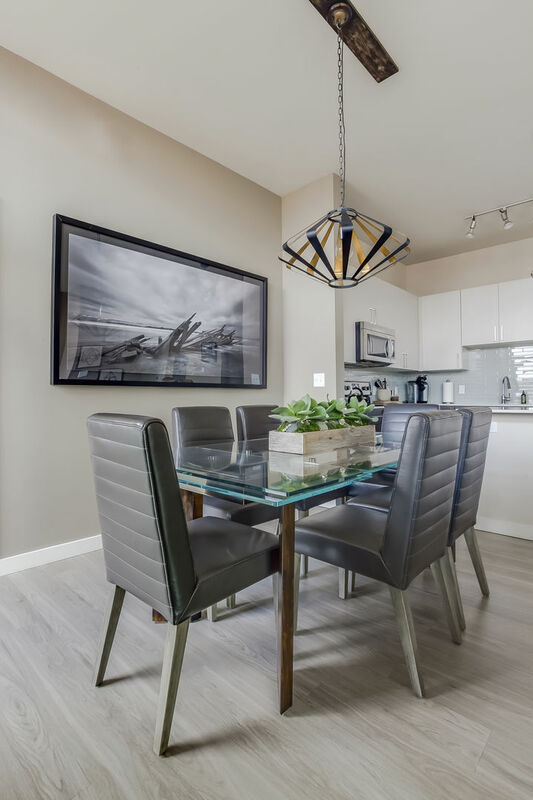 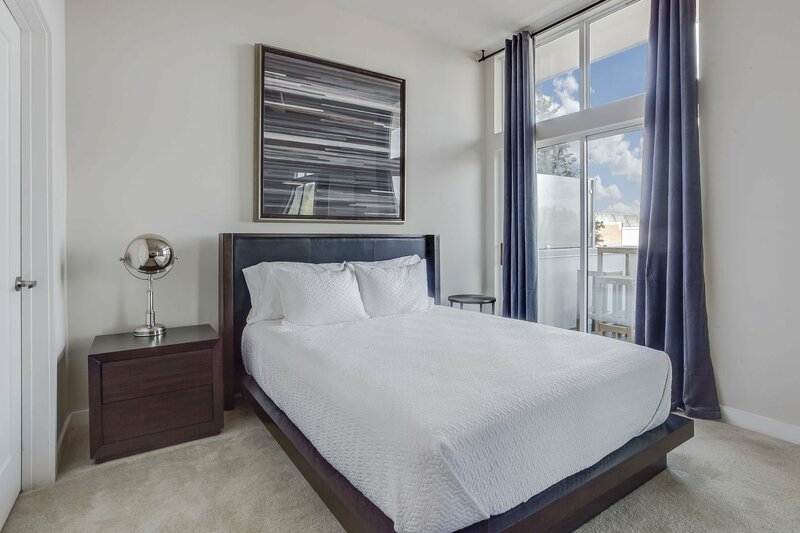 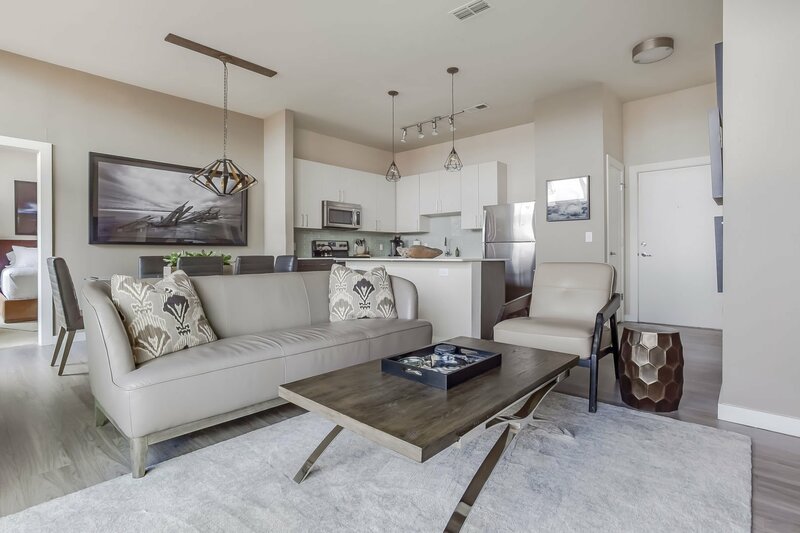 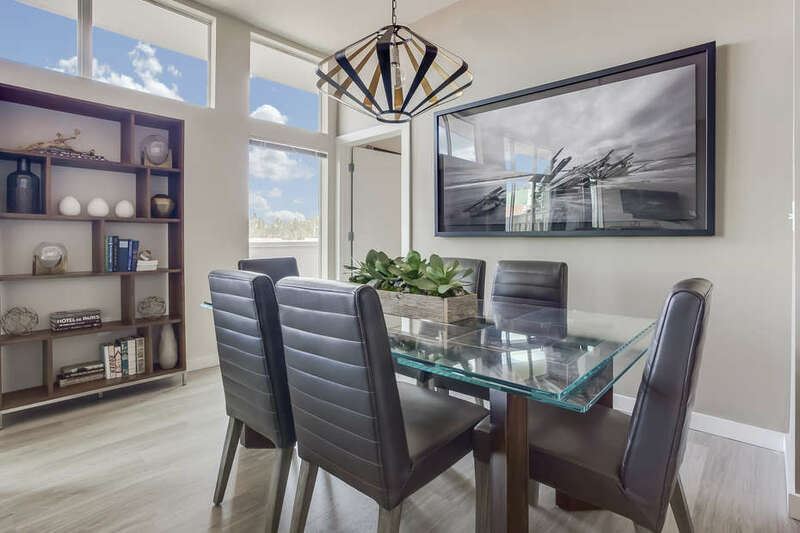 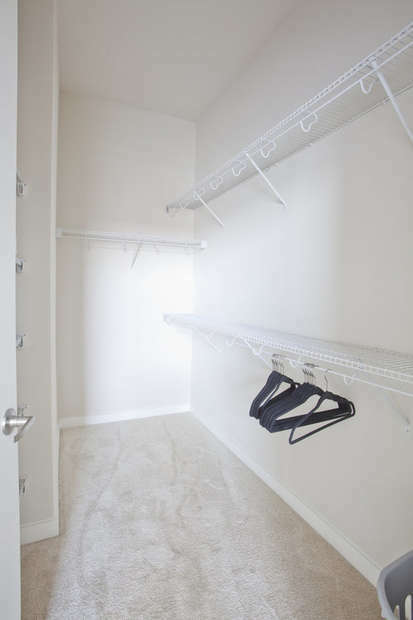 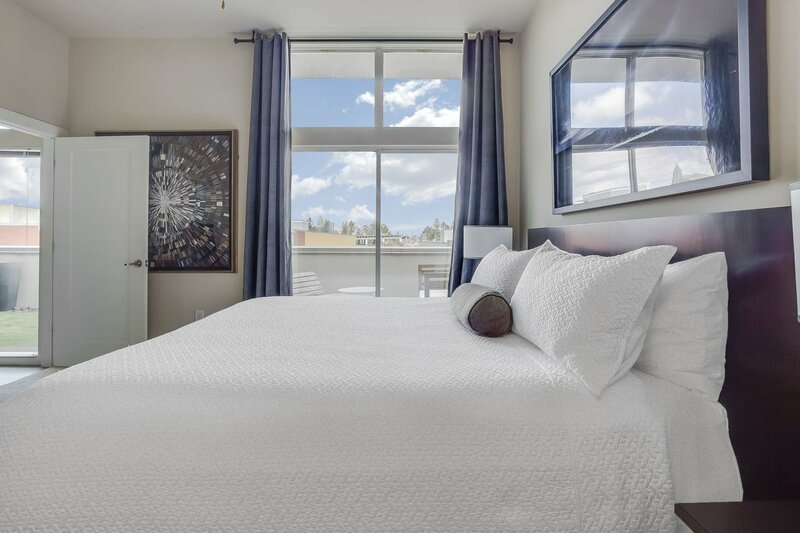 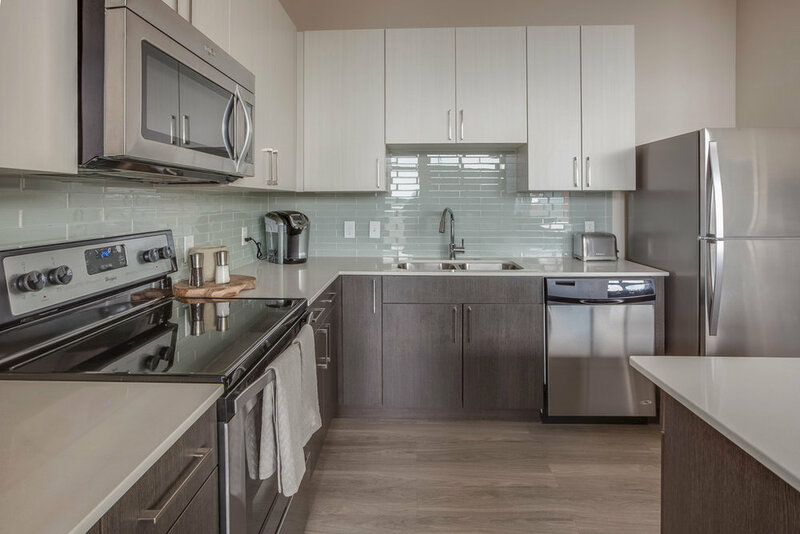 The apartment community features a modern outdoor pool with clubhouse, a fitness center offering top-of-the-line equipment and weekly yoga classes, as well as many of the most popular restaurants, bars, and shops in the city right outside your door.